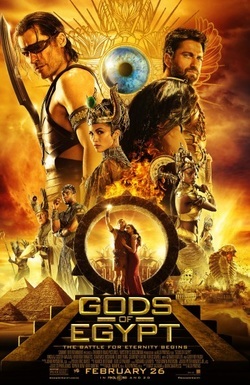 Gods of Egypt was inspired by Egyptian mythology, as retold with modern epic film tastes. The Los Angeles previs team was assigned to revise an elaborate third act sequence. As the team reduced in size over time, I attended video meetings with the VFX team and oversaw delivering assets to Tippett Studio for the transition to final animation. Third act flying chase between Horus and Seth.